We’re mixing up some cocktails with Peligroso Silver Tequila that reviewed earlier this week. This is a modified version of the Peligroso Hot Manzana – one of Peligroso’s suggested cocktails. 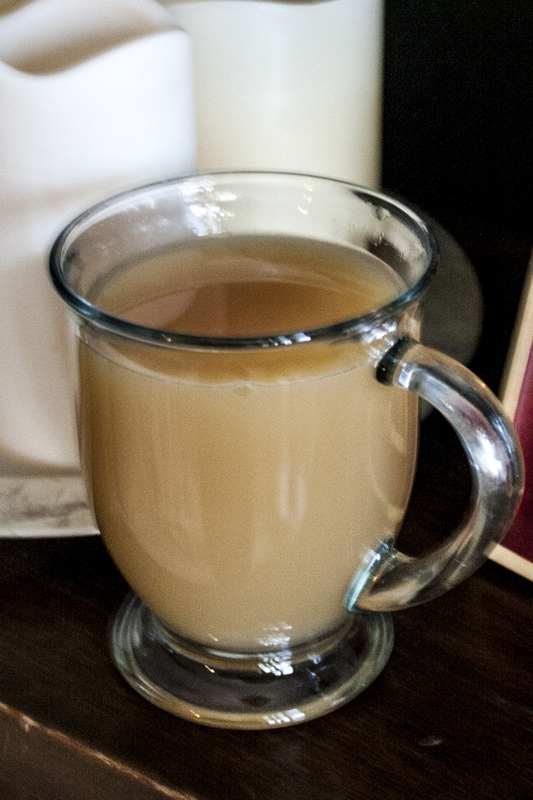 Heat up apple cider in an Irish Coffee mug. Top with the tequila and cinnamon schnapps, then stir. Garnish with a cinnamon stick. If you happen to have Peligroso’s new Cinnamon Tequila, you can skip the cinnamon schnapps.